Here in Los Angeles, we call it the Downtown Renaissance. Over the past decade or so, Historic Downtown Los Angeles has been revitalized with a youthful new population that has brought with it a resurgence of fashion, culture, and the arts. Fortunately, vestiges of Downtown’s former glory remain throughout the cityscape, giving it an added charm that still manages to draw new visitors and new residents alike. That’s why in our third installment of Downtown-centered events, APHA is excited to welcome nationally renowned letterforms expert Paul Shaw for a private walking tour of the city’s lettering legacy! Designer and design historian Paul Shaw has enjoyed a career of more than three decades writing, researching, and teaching about the history of graphic design and typography. Having worked as a designer for both commercial establishments and public institutions, Shaw’s lettering experience and knowledge of the history of typography gives him an intimate understanding of civic and commercial street signage. As our special guide, he will take us on a civic sightseeing adventure that is sure to bring the magic of urban lettering alive in all its multifarious splendor. Ever wondered about terrazzo letters? Ever been curious about differences in the production and design aspects of old metal, plastic, and vinyl street and store signs? 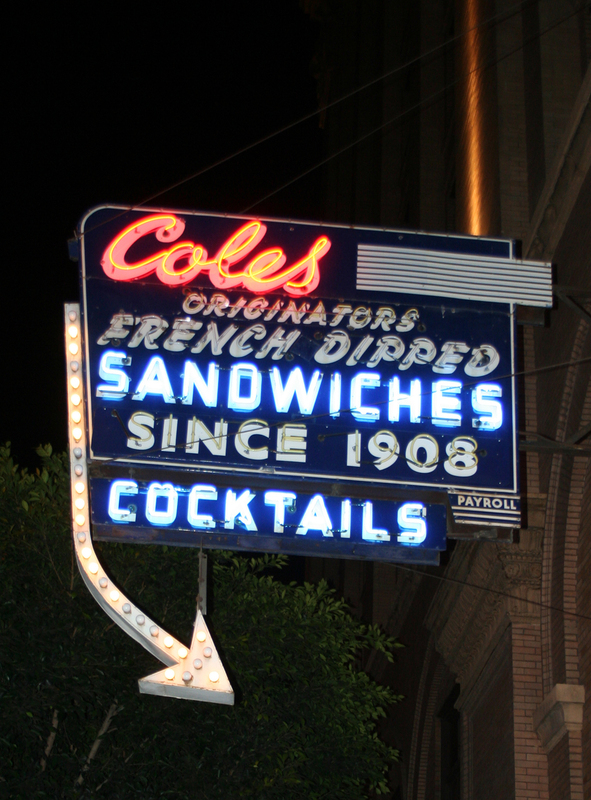 Ever thought about the appeal of neon signage; whether it’s all gas and glow, or something more? If so, then this is your kind of tour. Space is extremely limited, so you’ll definitely want to mark your calendar now and reserve your place before it’s too late. Note: this will be my third lettering walk in Downtown Los Angeles. The area is rich in old signage. Not only is there a plethora of neon theatre marquees, but there is a lot of Art Deco lettering cast in metal and carved into stone. And there is also a good number of ghost signs. 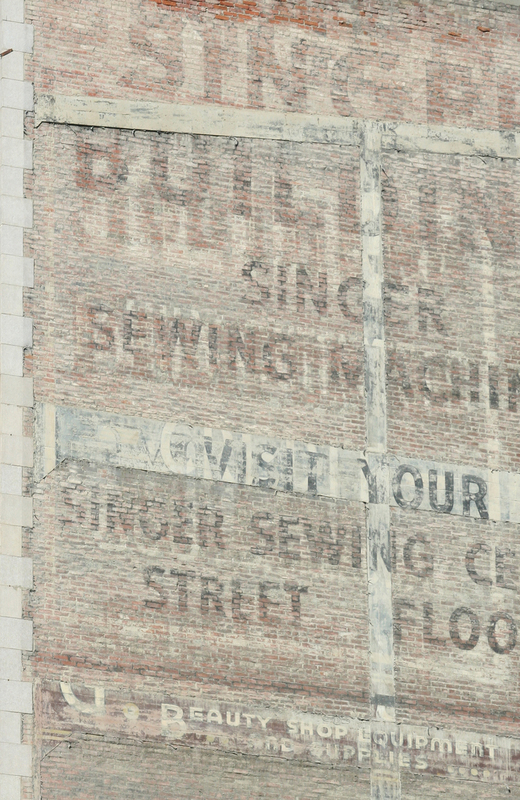 Singer Building ghost sign, 806 South Broadway, Los Angeles. Photograph by Paul Shaw, 2013.